Tatiana LOPES FIALHO, Evaluation des caractéristiques thermodynamiques du process et des propriétés structurales et fonctionnelles des poudres de lait sans lactose en lien avec l'état initial et les conditions de vieillissement . Thesis started in 2017. Other co-advisors: Paulo Peres De Sa Peixoto Junior, FERNANDES DE CARVALHO Antonio. Marcio Henrique NOGUEIRA, Influence des structures moléculaires des caséïnes sur les fonctionnalité d'isolats protéïques de lait . Thesis started in 2017. Other co-advisors: Paulo Peres De Sa Peixoto Junior, KAROUI Romdhane. Bowei CHEN, Evaluation par voie ultrasonore de l'adhésion de dépôts laitiers en surfaces inertes . Thesis started in 2016. 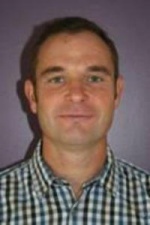 Other co-advisor: Pascal DEBREYNE. Alexandre BERTH, Contrôle de production de lipopeptide en bioréacteur à biofilm aéré par membrane . Thesis started in 2015. Other co-advisors: DHULSTER Pascal, LECOUTURIER Didier. Laurent BOUVIER, . Thesis defended in 2018. Other co-advisor: Lalot Sylvain. Sarah Nasser, Evolution of the structural and functional properties of micellar casein powders in relation to initial state and aging conditions. Thesis defended in 2017. Other co-advisor: Alain HEDOUX. Marwa Khaldi, Relationship between milk derivatives' physical chemistry and their ability to foul during thermomechanical treatments in heat exchanger. Thesis defended in 2016. Other co-advisor: Jeantet Romain. Nicolas Collier, Adhesion measurement of phantom media on solid surfaces using a shear waves ultrasonic approach. Application to adhesion measurement of whey protein fouling. Thesis defended in 2014. Other co-advisor: Nongaillard Bertrand. 16 oral presentation(s). 2 poster(s). Detailled list.